As successor of the Alouette II, the Alouette III is a single-engine, light utility helicopter developed by Sud Aviation. Mainly manufactured by Aérospatiale of France, it was also build under licence in Switzerland, Romania and India. Being larger and having more seating, it favoured about the same amount of popularity as its predecessor and is still used by various air forces to this day. Despite the fact that the aircraft was first introduced in 1960, even modern first world air forces in countries like Belgium, France and Portugal maintain a small number of active Alouette’s in their fleet. 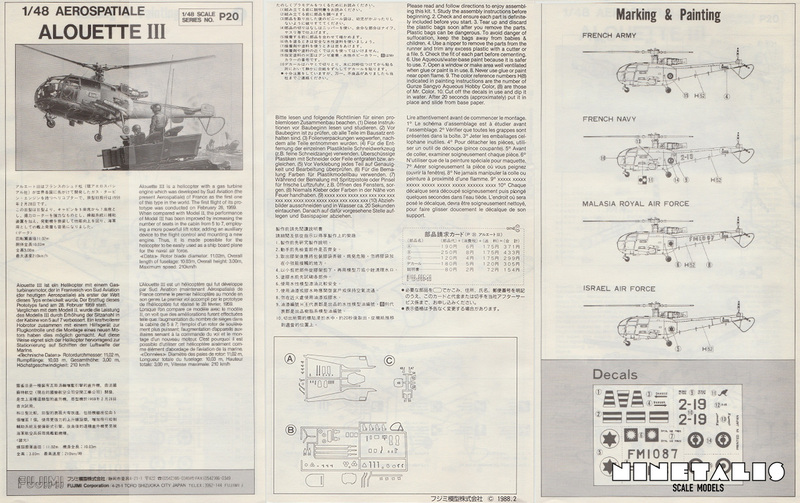 Despite its light appearance, it was often used as an attack helicopter armed with Browning .303 or a single 7.62mm MAG machine guns or a 20mm MG 151 cannon, or even sporting hard points for missiles mounted on each side of the fuselage. Despite it’s popularity among military users, it also had a popular life in civilian aviation. 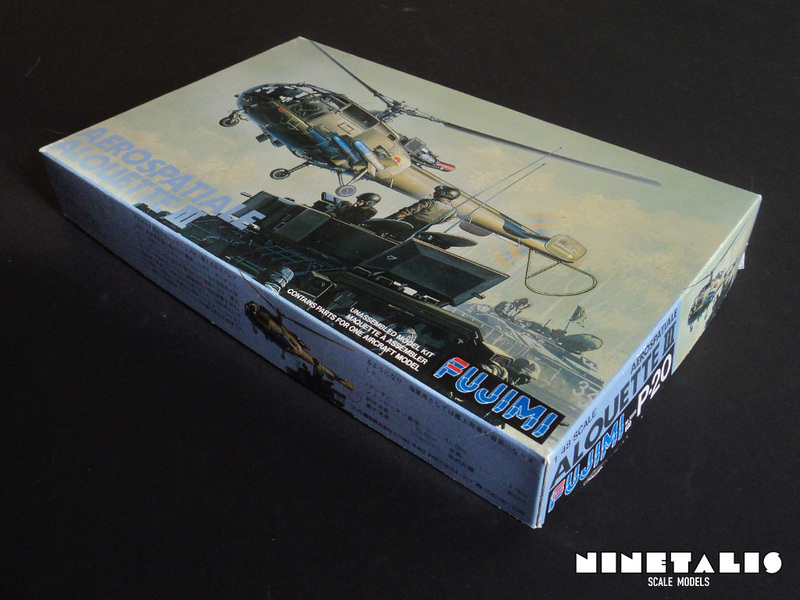 Released in 1991, this kit was the first boxing of the Fujimi Alouette III since the early eighties. 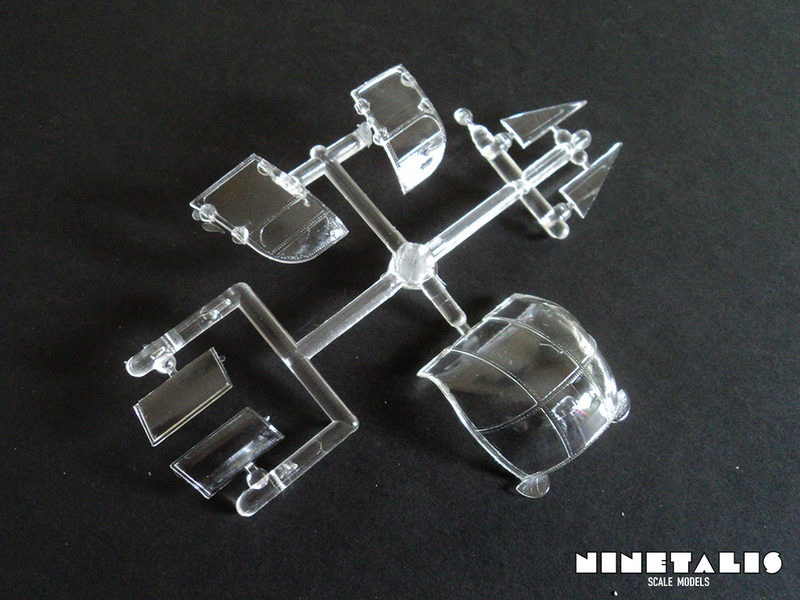 Inside we can find three sprues in total, one of which in clear material. Since the Alouette III is a small helicopter, the boxing is one of the smallest in size that I’ve seen for a kit in quarter scale. Nontheless the box is well filled with parts. 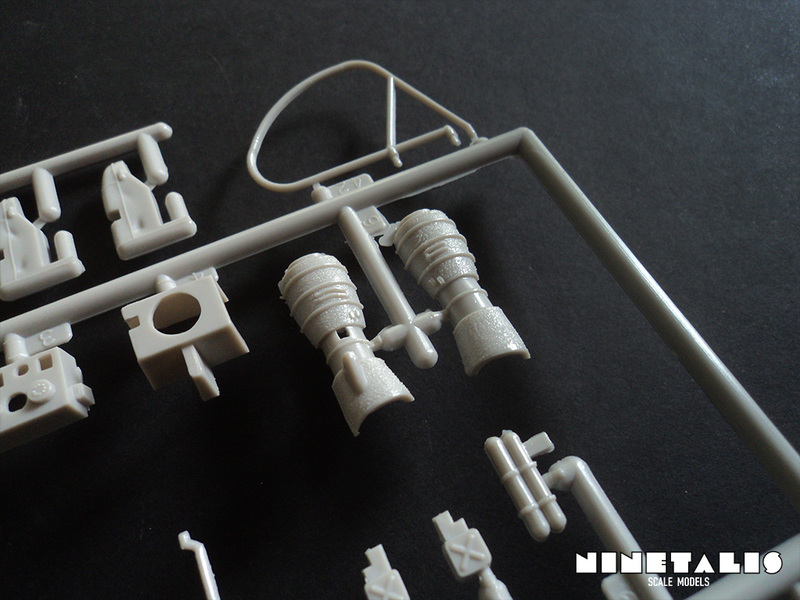 As the design of the molds themselves date back to the 70’s, we can find the parts placed around a center sprue instead of a surrounding square frame as with many kits today. 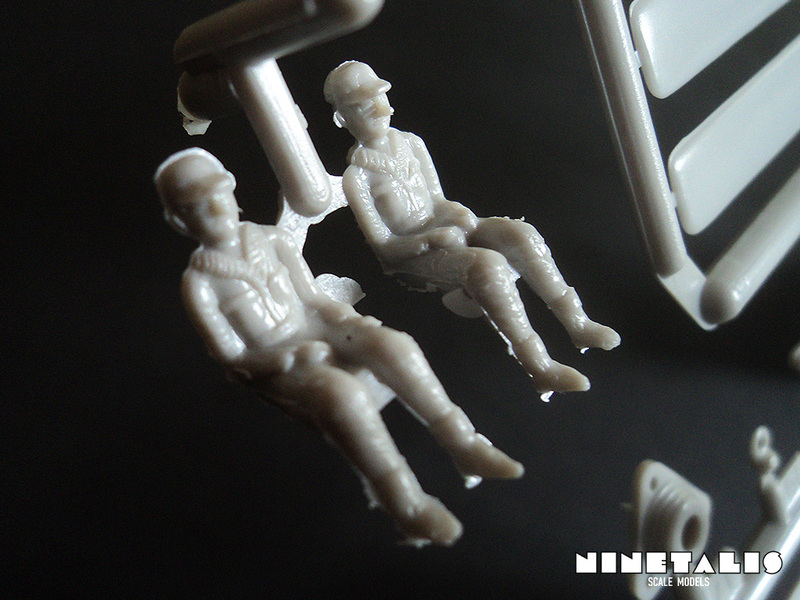 Keeping in mind the age of the molds, the detail that can be found is quite impressive at times. 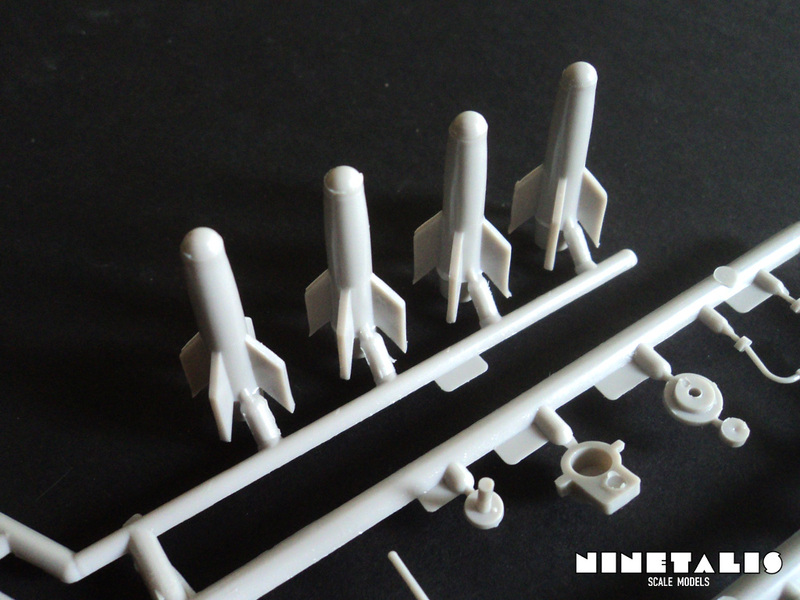 The first sprue holds the two fuselage halves, the vertical and horizontal stabilisers, the top of the fuselage and a several other details. Here and there we can find some small traces of flash, which might be a little challenging to remove from some of the smaller parts. 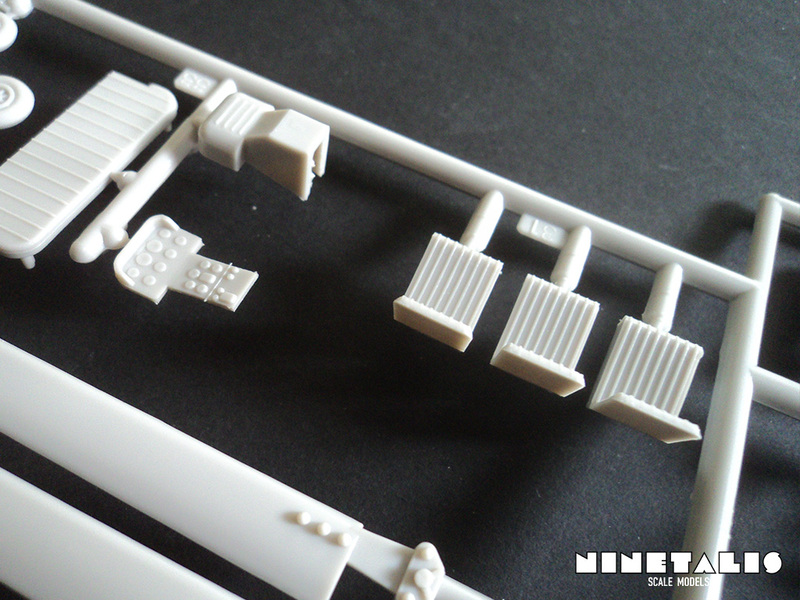 The other styrene sprue in the kit (obviously) holds the other parts like the rotor blades, tail rotor, cockpit parts, pilot figurines, engine and even four SS.11 wire-guided anti-tank missiles. There are also two skinny pilot figurines provided, which are rather comical than realistic, given the shape of their nose. Flash seems to be very present with certain parts but non-excistent on most. Overal the detail is pretty good with most parts, but details that would be tucked away once build seem simple in comparison. 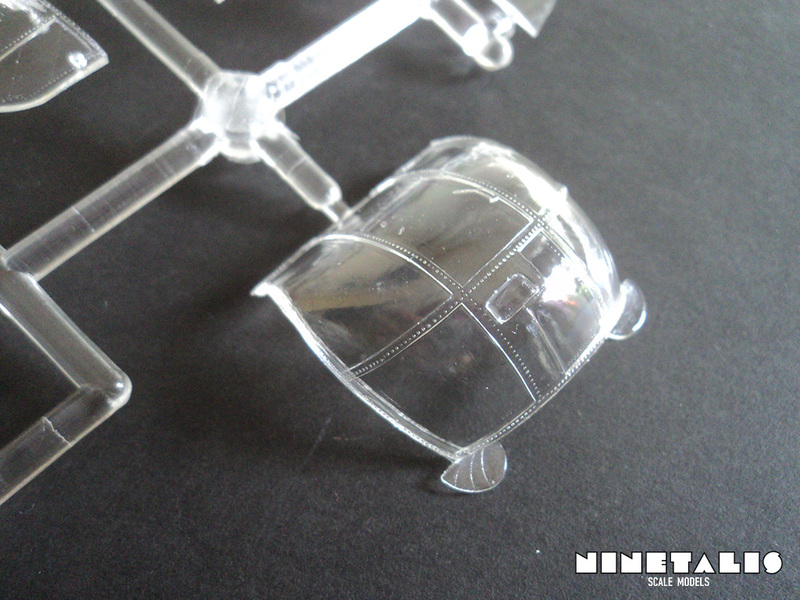 The parts provided for the cockpit for instance do provide enough detail to recreate a believable cockpit, although a little amount of additional scratch-building and spare box raiding would serve it well. 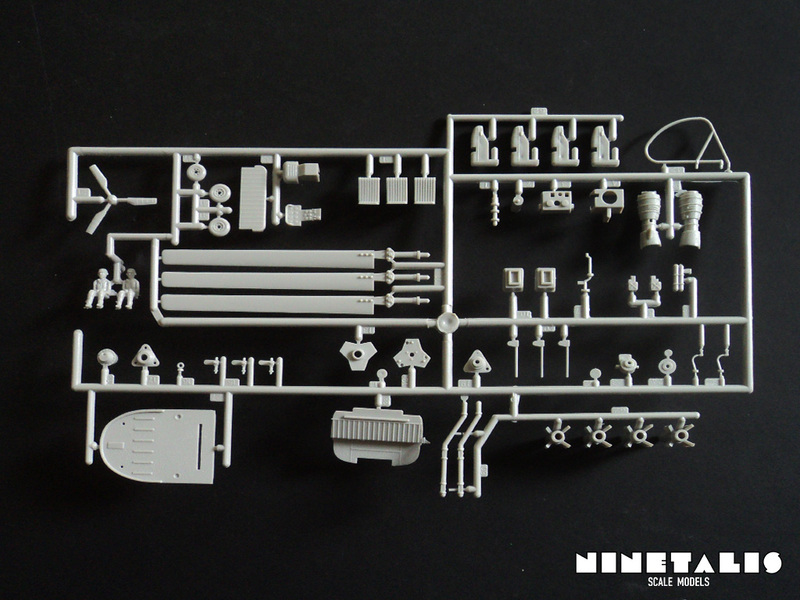 On the clear sprue, we can find seven parts. All of these put together form the giant glass casing at the front of the aircraft. On the largest part we can find some flash at the corners which shouldn’t prove troublesome to remove. On the ‘metal framing’ we can find more raised rivets, so the detail of these clear parts are quite impressive for such an old kit. This is where the kit faired the least well over time. 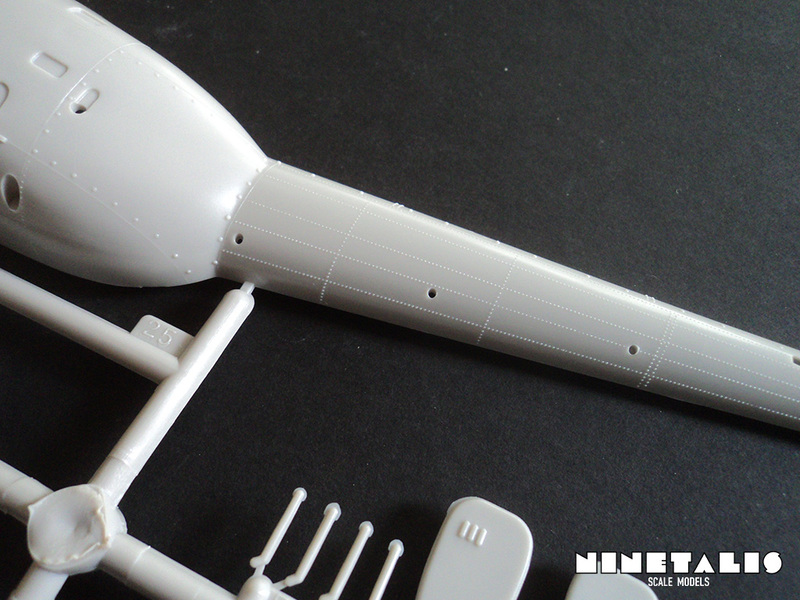 Since it is a small aircraft, it didn’t have many stencils, but there are no stencils at all on the sheet. 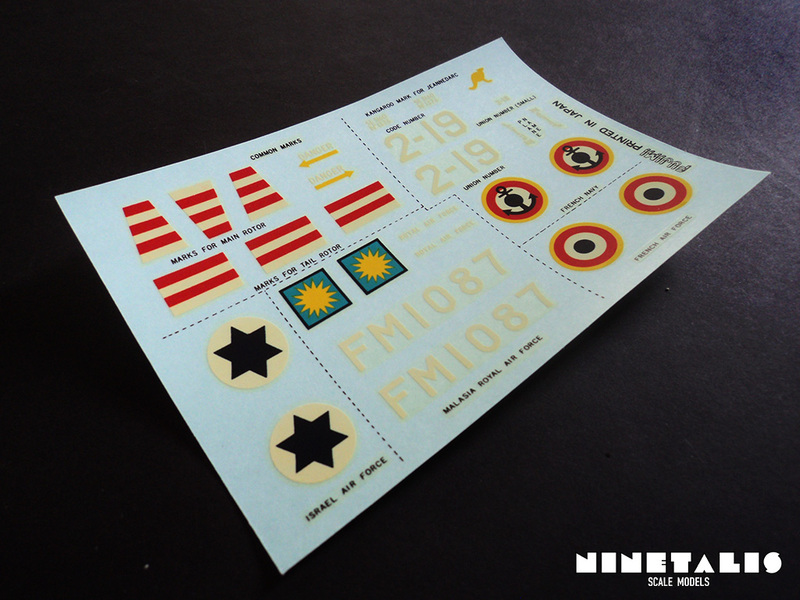 We do get decals for marks on the rotor blades, and the choice between four different aircraft from the Isreali, Malasian and French Air force, as well as the French Navy. 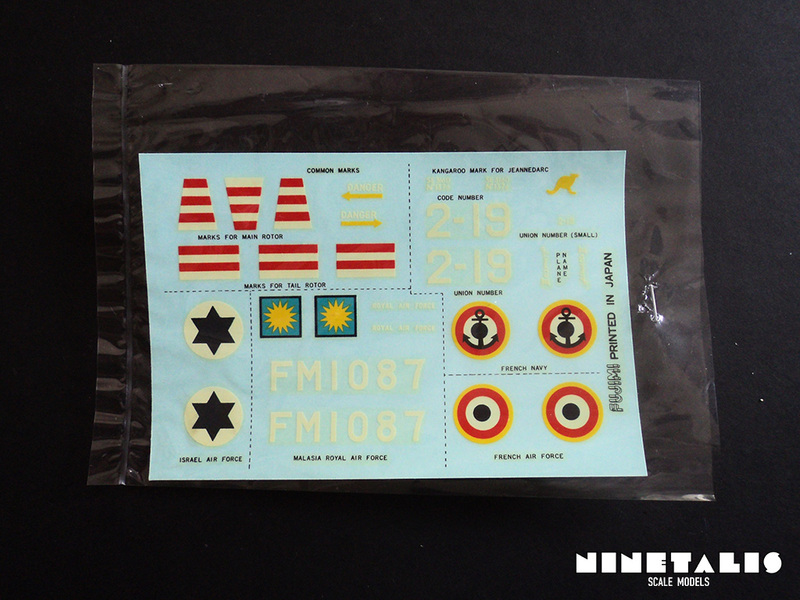 Pretty much every decal is white at some spot, but sadly, all the white parts seem to have yellowed over time. Again, given the fact this very version of the kit was released in the early nineties, it shouldn’t be surprising they look like this nowadays. The annoying part is that after market decals are few and far in between, so whatever you’d like to build should probably be painted with custom masks and spare decals from leftover decal sheets. 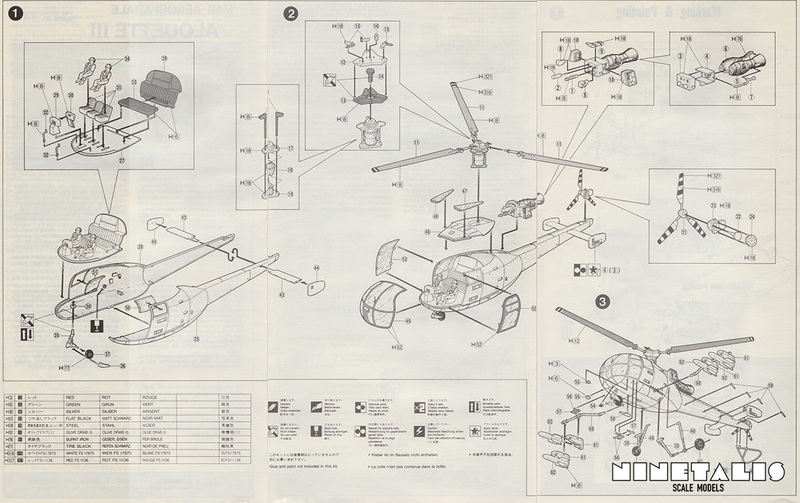 Fujimi’s instructions provided with the kit are made from a small single sheet of paper folded into three parts. On one side, we can find all the information on the subject several languages, an overview of the frames and decals provided and the marking possibilities. On the other side, we can find the construction steps divided into three large steps, with six additional steps and illustrations. 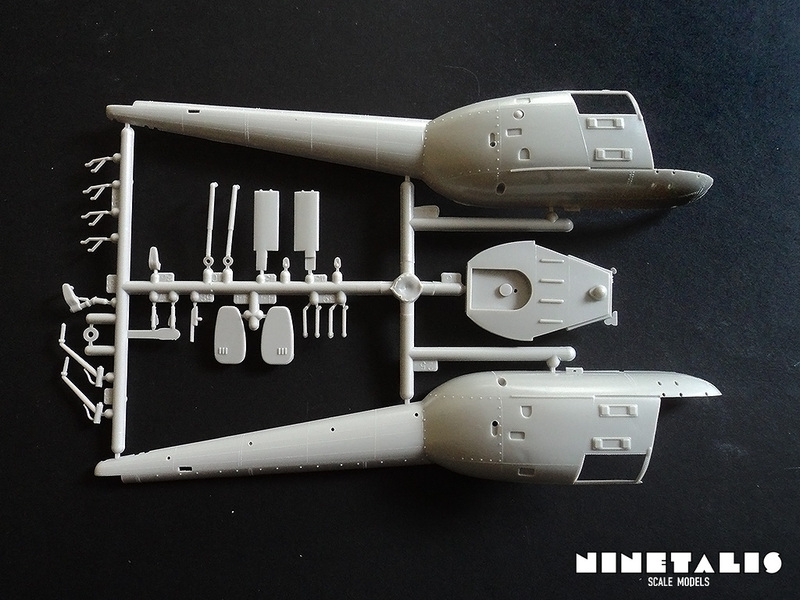 Almost all the parts have a color code added when they are placed onto the model, which can help when looking up references for the cockpit colouring. 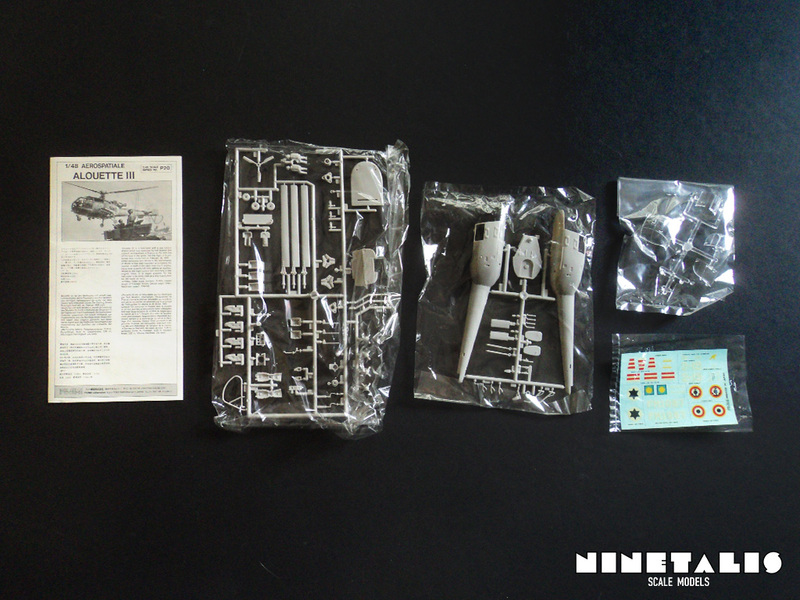 This is one of those kits where you have to keep its origins in min. Obviously it wasn’t released when the best level of detail was requested and the production standards weren’t as mindblowing as they can be today. This is visible from certain elements in with this kit. 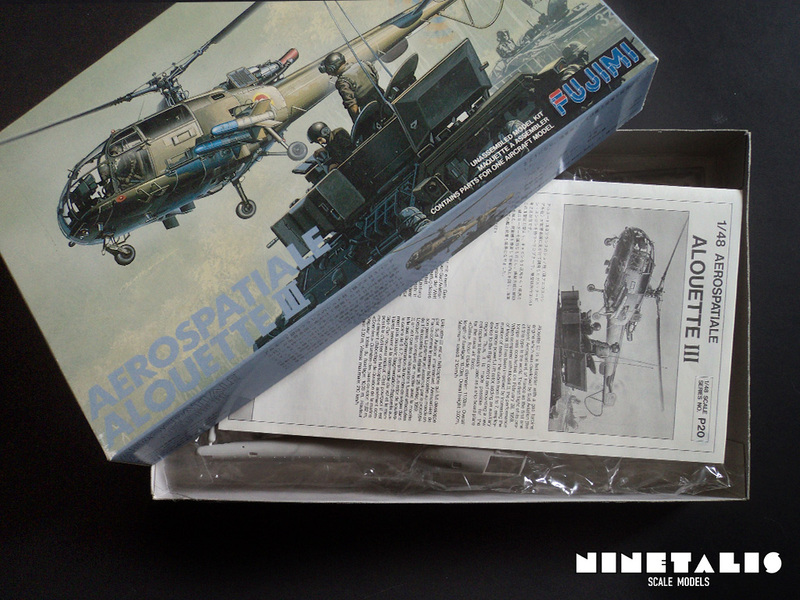 However, due to it’s Japanese roots, a certain amount of detail is present and the kit can be build up into an accurate representation of the aircraft, and as this is the only kit available in 1/48 scale (when not counting the 1/50 scale kit from Heller being presented as a 1/48 kit) it remains the only option in this scale. 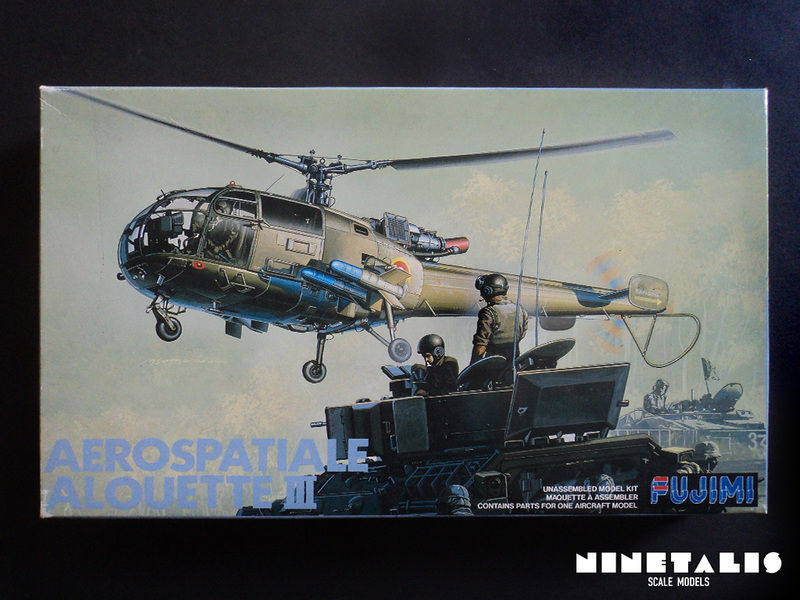 If you can get beyond the age of the kit, which provides a solid model that looks like an Alouette III, and the probability that it won’t be soon another company will tackle this very aircraft, I can recommend this kit. If you wish to see an engineered and accurate Allouette III to display with doors open with all kinds of bells and whistles, then you should be prepared to go on a scratch-build spree, or hold out and hope someone else creates a new kit of this aircraft, which I don’t see happening anytime soon. 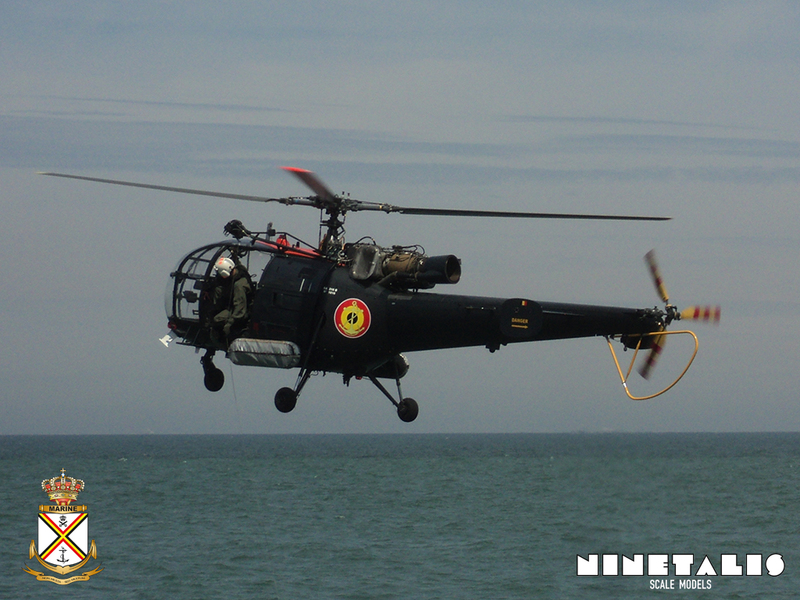 For those interested, by clicking the image below you will be brought to a walkaround available on this website of an Alouette III that is still in service with the Belgian Airforce / Belgian Navy.